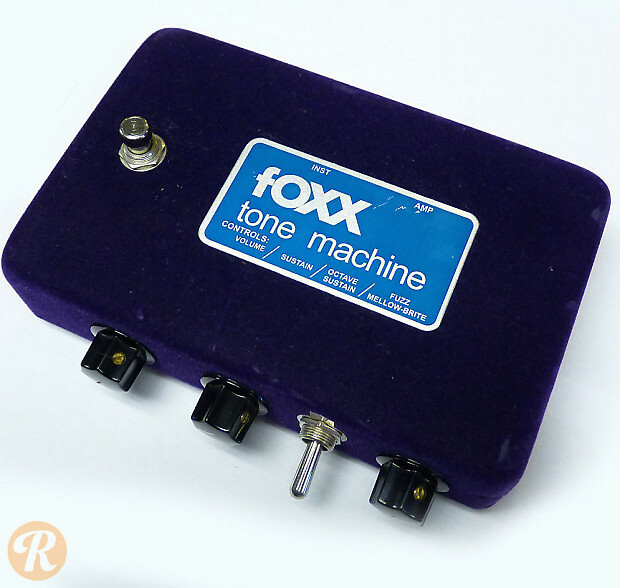 The original Foxx Tone Machine was an octave fuzz box with a unique design (switch and knobs on the side rather than the top) and much-imitated thick sound. It was produced from '71 to '78. 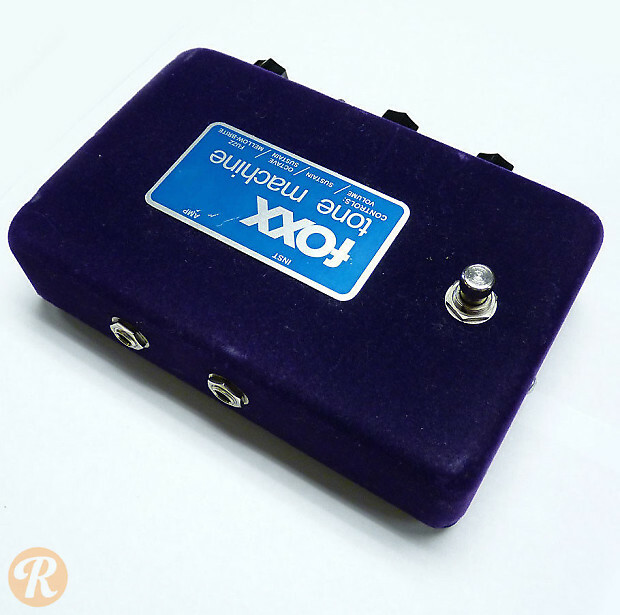 The casing had a soft, faux-velvet covering that was produced in several different colors including purple, blue and red. 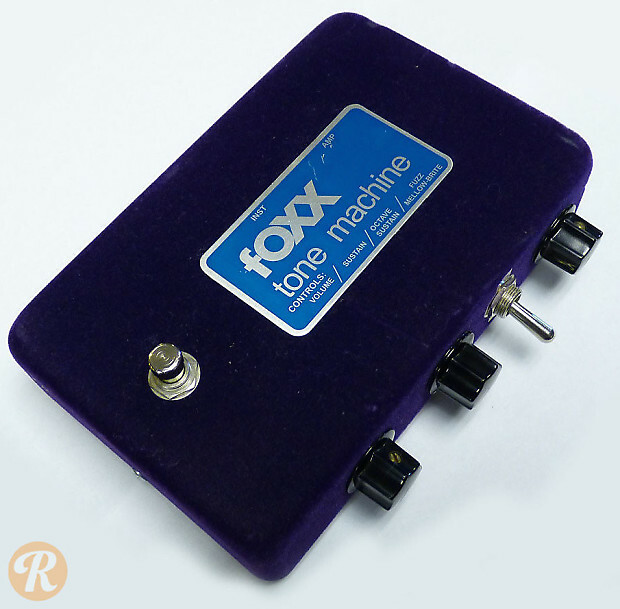 The reissue aims to provide the same tone with a cloned circuit and an exact replica of the original's funky housing.